Your Participation Helps Keep Notre Dame Academy The Preeminent Choice For A First-Class Education. 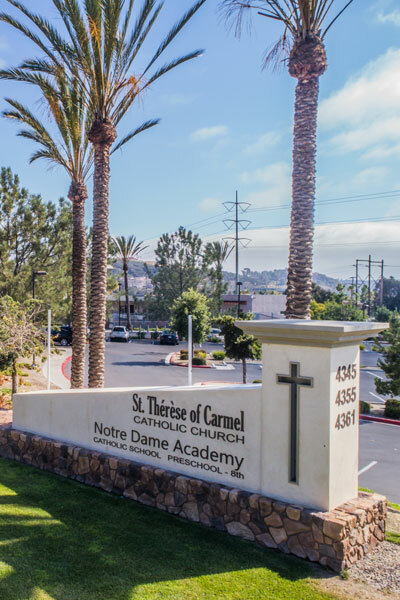 Thank you for your interest in contributing to Notre Dame Academy’s General Fund. Contributions made toward the NDA General Fund go toward the purchase of vital resources for students and faculty, including, but not limited to, textbooks, teachers salaries, and facility upgrades. With your generous help, the General Fund keeps our school’s facilities and curriculum up to date while helping to contain tuition costs. The Institute de Union-Chretienne de Saint Chaumond and Notre Dame Academy, are 501(c) (3) nonprofit organizations. All charitable giving is tax deductible as allowed by law. Please consider making a donation. You may do this conveniently and securely online, or by mailing a check along with the form contained in the brochure. Help NDA Achieve Even More. Give Today. In 1642, Saint Vincent de Paul established the Order of the Sisters of Union-Chretienne de Saint Chaumond to provide education and instruction to young people. The Sisters currently operate successful schools in France, Spain, Portugal and the United States. The Sisters came to the United States in 1988 and were trained as active teachers in Diocesan Catholic schools in southern California. The mission of the Institute de Union-Chretienne de Saint Chaumond is to provide a positive educational experience for children in an environment grounded in Christ, and based in pedagogy of confidence and encouragement according to the charism of the Institute. A Catholic education should be available to everyone. The Our Lady of Perpetual Help Tuition Assistance Fund (OLP-TAF) is an effort by the community of St. Therese of Carmel Parish and Notre Dame Academy to provide economic assistance to families with limited economic resources, to enable them to provide Catholic education to their children. Show your NDA pride and encourage school spirit. By purchasing products from the official NDA Dolphin Shop you’ll inspire greatness! Shop for all your NDA spirit wear and PE needs at out online store. AmazonSmile is a simple way for you to support Notre Dame Academy every time you shop, at no cost to you. When you shop at smile.amazon.com, you’ll find the exact same low prices, vast selection and convenient shopping experience as Amazon.com, with the added bonus that Amazon will donate .5% to our school. To shop at AmazonSmile simply go to smile.amazon.com from the web browser on your computer or mobile device. You may also want to add a bookmark to smile.amazon.com to make it even easier to return and start your shopping at AmazonSmile. Even better, purchase Amazon Scrip to use on Amazon Smile – a double win for Team NDA!! Scrip is a program where you buy gift cards for everyday purchases. You use the cards just like any other gift card/certificate. There is NO COST to you!! How it works: You order a Macy’s card for $50. NDA buys the card for you at a discounted amount (Macy’s is discounted 10%) You get a card for Macy’s for $50 and NDA makes $5.00! The attached order form has a list of scrip that is available to purchase in the NDA Office. If you want to order scrip not listed on the form, you can go to www.shopwithscrip.com and write the scrip you want and the amount, on the form and bring to the NDA Office. "“During the last 11 years our three children have been blessed to be a part of the NDA family and all consider NDA to be their home away from home. The fact that the school is led by the Sisters of L’Union-Chrétienne de Saint Chaumond has provided our children with a unique experience in which the Sisters and teaching staff strive to challenge them academically, and expose them to various languages, all the while strengthening their Catholic Faith and character development”"
"We chose NDA because of its French program. Little did we know that we were picking a home away from home. Dedicated teachers and staff, a strong academic program, a safe environment, and a close group of friends make NDA a great school!